While apps identify the permissions they seek before a user downloads them, experts say most people pay little attention to what they’re agreeing to when they hit the “install” button. Cellphone apps make users’ lives easier in multiple ways, but Internet security experts caution that convenience comes with a price: your privacy. The apps, software programs for smartphones, can make calls, take photos, track your location, monitor your Web browsing habits, read files and transmit your contact list to advertisers, all without your knowledge. That should come as no surprise since an app identifies the “permissions” it seeks before a user downloads it, the experts say. The reality, however, is most people pay little attention to what they’re agreeing to when they hit that “install” button. “It’s a real problem. Apps grab far more information from the user than they should and there is not much users can do because the settings are complex, and even when users select strong privacy settings they can be later changed by the app company.” said Marc Rotenberg, president of the Electronic Privacy Information Center, non-profit research center based in Washington, D.C. that works to protect privacy. In the vast majority of cases, there’s nothing nefarious as the access sought is legitimately needed to allow the app to perform, said Robert Neivert, chief operating officer of Private.me, a company that enables Internet users to search online without being tracked. There’s growing concern, however, over the increasingly common practice of app developers uploading phone contact lists and address books to a server without the users’ permission. Some then sell that information to advertisers. The collection and sale of personal information is becoming the norm, particularly with free apps, as that’s the primary way they earn money, Mr. Neivert said. The issue highlights the importance for users to review the access sought and make sure it’s reasonably connected to the service the app performs, he said. “You should be a little concerned but I don’t think its an emergency. It’s something you should keep your eye on,” Mr. Neivert said. For instance, if an app seeks access to your camera, you don’t have to worry it will randomly fire off shots while it’s on your bedroom dresser. He gave the example of an app that allows users to modify photos, such as drawing funny ears on people. Mr. Neivert said he’s more concerned about apps that can make calls and send text messages without the user’s knowledge. Some apps have a legitimate purpose to dial phone numbers, but it’s also open for abuse as a malicious app could dial a 900 number, which would incur charges, he said. “Most of the time the app wants to allow a link. I don’t like it because it allows your phone to make a connection to an unknown location without your knowledge. You are losing control,” he said. 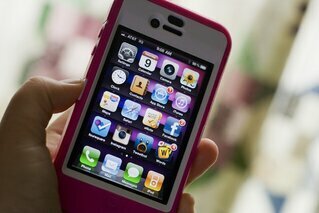 Users should be particularly wary of any app that wants access to their contact list, he said. If you don’t agree with all the permissions, you can complain to the developer, but typically your only option is to uninstall the app, Mr. Neivert said. You can then seek a similar app that perhaps seeks fewer permissions. “The good thing about living in the U.S. is there is a fair amount of competition out there,” he said.